Radiohead ‘A Moon Shaped Pool’ is the feature album this week at iHeartRadio Music News powered by Noise11.com. 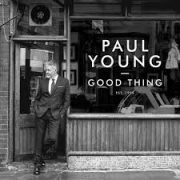 Dami Im, A$AP Ferg, John Williamson, Blue Man Group, Paul Kelly, Patrizio Buanne, Paul Young, Josh Kelley and Oxford & Co lead this week’s new releases. At the 1988 Olympic Winter Games in Calgary, Canada, Eddie “The Eagle” Edwards became the first person from Great Britain to compete in ski jumping.